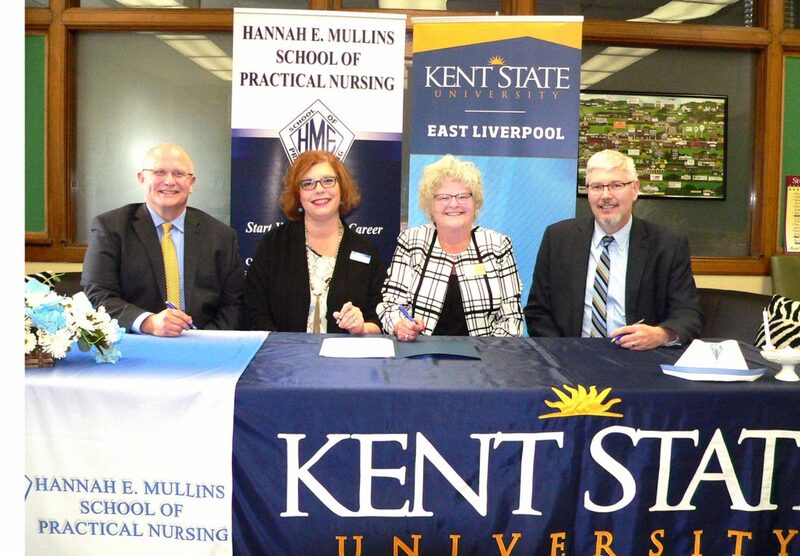 SALEM — Officials from Kent State University and Hannah E. Mullins School of Practical Nursing Wednesday signed an articulation pathway agreement that provides opportunities for graduates of the Salem nursing school to transition into the East Liverpool campus’s nursing program. The partnership is designed to be a bridge from the HEMSPN’s licensed practical nurse program to the Kent State East Liverpool’s associate degree in nursing program, from which students graduate as registered nurses. Christina Devlin, director of the HEMSPN, expressed appreciation for the formation of a working partnership with Kent State, noting that the students are the ultimate benefactors. Through this agreement, a qualified HEMSPN graduate, who is preparing for the national nursing exam, may enroll at Kent State and begin taking the core requirements. Once licensed as an LPN, the graduate may apply to the ADN program at Kent State East Liverpool. LPNs who graduated from the HEMSPN program, and hold unrestricted certifications or licenses, may be admitted to the second year of the ADN program, if all other academic requirements are met. Dr. David Dees, dean of the Kent State Columbiana County campuses, noted that this milestone is the result of a collaboration between the two educational institutions, led by individuals who are focused on students. While this specific agreement serves as a pathway from the LPN program to the RN program, it also serves as a ladder to other advanced nursing degrees at Kent State and solid careers. 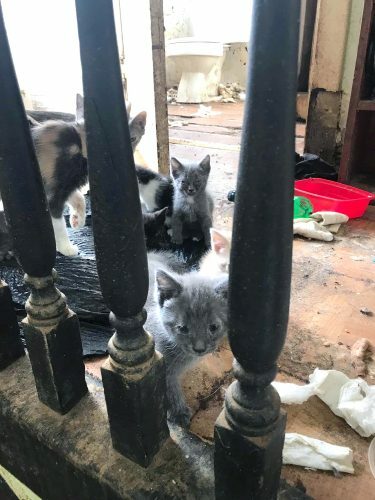 “Today, in the community we serve, students are juggling jobs, family responsibilities and are incurring debt with student loans,” noted Hrusovsky. “I am excited to have this academic partnership with HEMSPN that builds a bridge for their graduates to become RNs. Kent State University at East Liverpool offers a two-year associate degree in nursing program that prepares student for the register nurse profession. Graduates of the accredited program are eligible to take the National Council Licensure Examination for Registered Nurses (NCLEX-RN). The Hannah E. Mullins School of Practical Nursing offers a full- and part-time program that prepares graduates to sit for the National Council Licensure Examination for Practical Nurses (NCLEX-PN). Located in the Kent State City Center Building in downtown Salem, the school operates under the auspices of the Salem City Schools Board of Education.